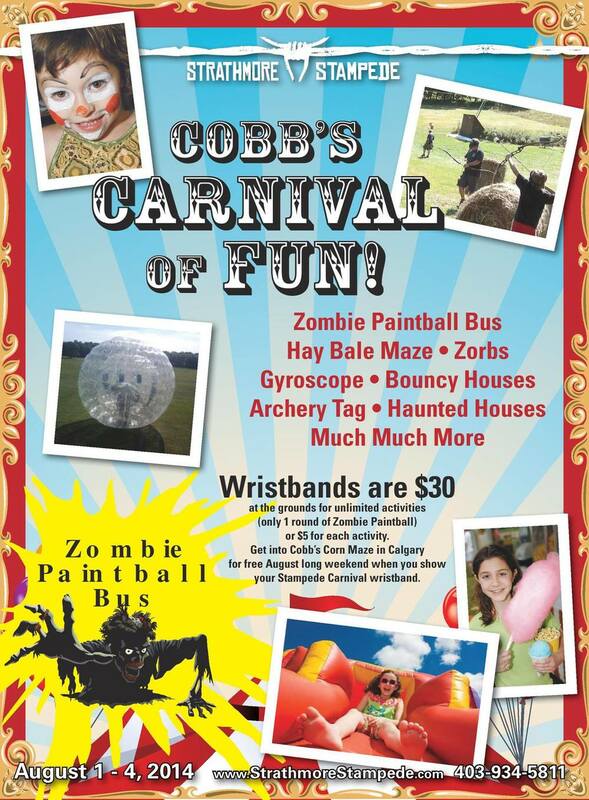 Cobb's Carnival of Fun wristband vouchers are now available for pre-purchase in our office for $30! You get unlimited access to the activities and one round of paintball! And remember, if you buy a ‪#‎StrathmoreStampede‬Carnival wristband you also get free entry to Cobb's Corn Maze & Family Fun Park in Calgary throughout August long weekend!